I’m always on the hunt for a new toothpaste as I have pretty sensitive teeth and gums, so there’s a lot of versions out there that just don’t agree with me. I’m also really particular about the brush I use, usually opting for a trusty electric one, but this can sometimes be too harsh on my gums and cause them to bleed a little, which isn’t good! 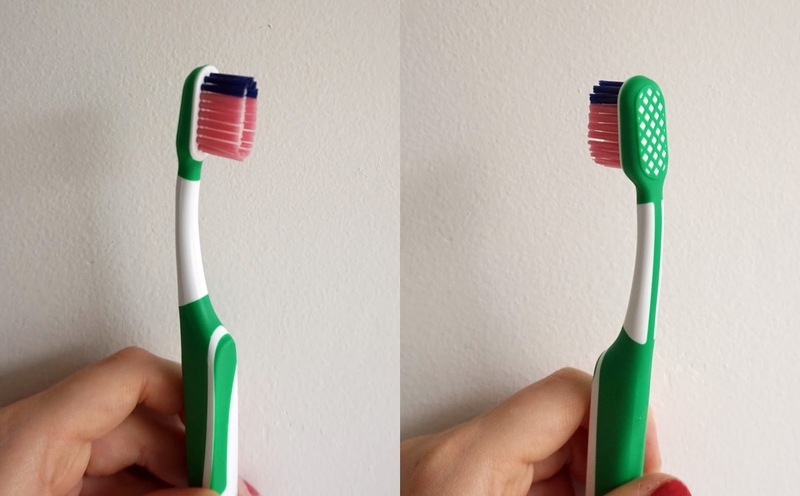 Corsodyl kindly sent over their new Corsodyl Daily Toothbrush for me to try out, which has super soft bristles designed to be kind to sensitive gums, and those prone to bleeding. 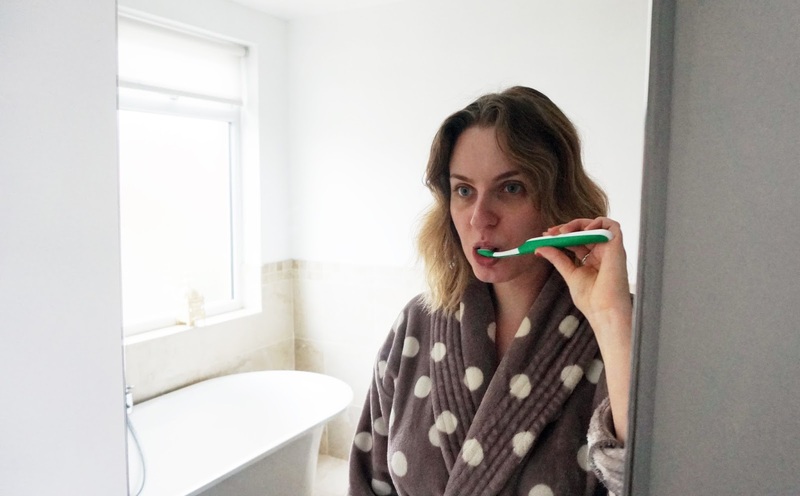 I’ve been trying this out for a couple of weeks now and at first I wasn’t so sure – having such soft bristles, I was sceptical that it would do a good job of cleaning my teeth, but I’m fully converted! 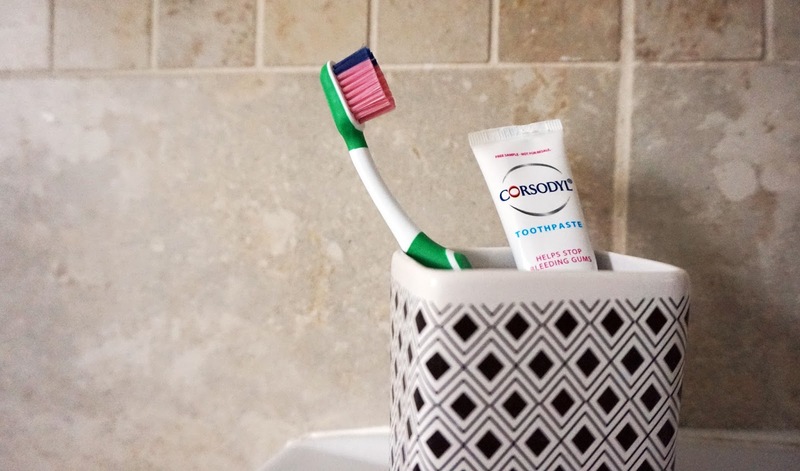 I was also kindly sent a sample of the Corsodyl Ultra Fresh Toothpaste, which let me tell you, is not for the faint hearted! When it says Ultra Fresh, it really does mean it! This is a toothpaste that packs a punch and leaves your mouth feeling ridiculously squeaky cleaned. 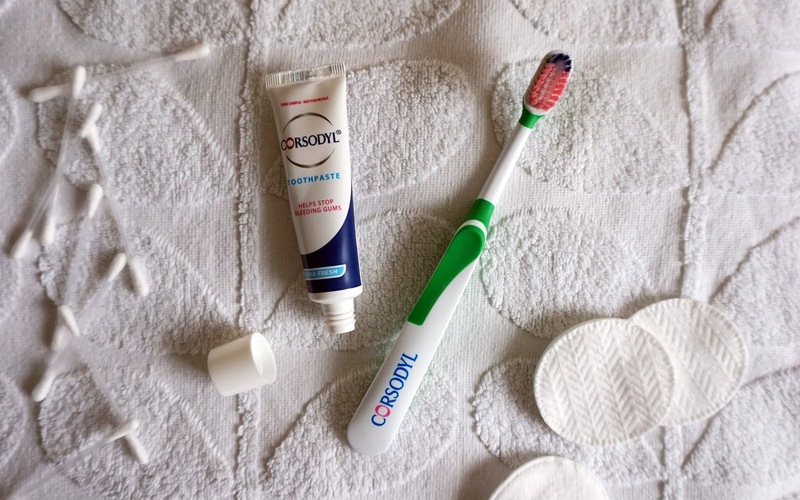 Paired with the toothbrush, and followed by a Corsodyl Mouthwash makes for a perfect routine, day and night, to get rid of plaque and clean your teeth in a gentle way. The toothbrush and toothpaste have made their way in to my travel wash bag since I spend a lot of time on the road for work. I’d definitely recommend giving these a whirl if you’ve ever had issues with sensitive teeth or bleeding gums! 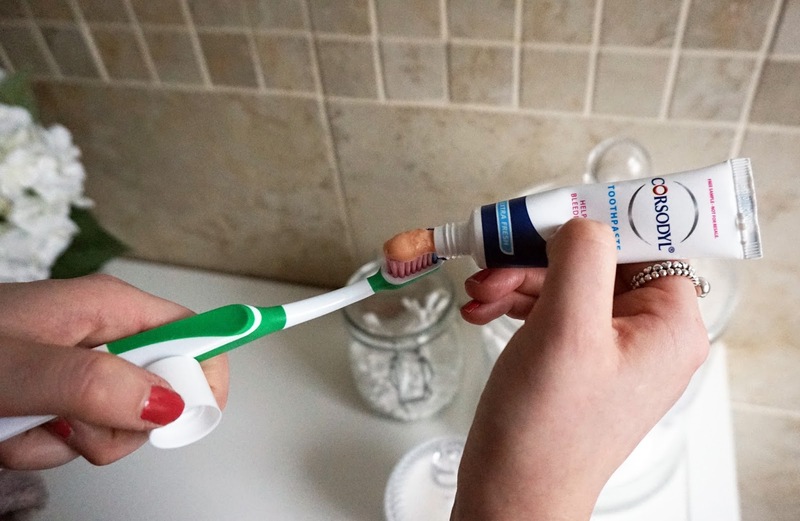 Have you tried the Corsodyl Daily Toothbrush? What products would you recommend for healthy teeth and gums?